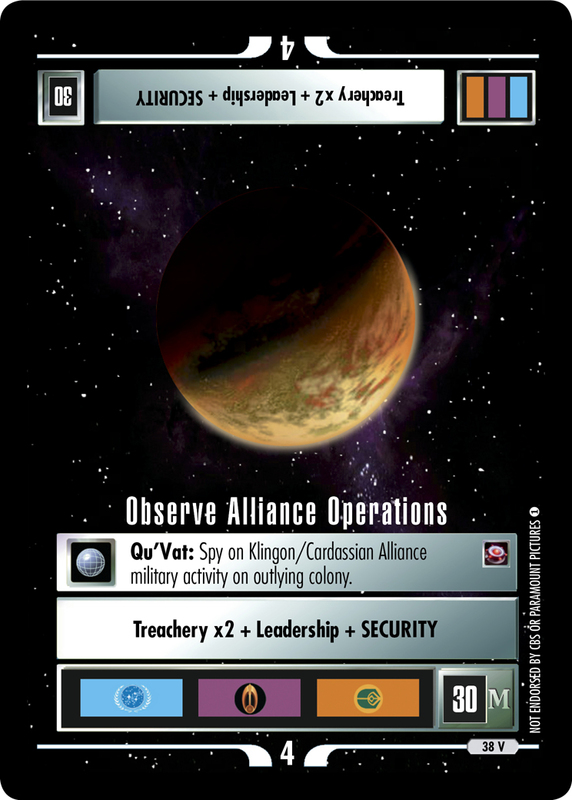 2154 Qu'Vat: Secret facility where the Empire created superior Klingon augments. Seeds or plays on table. Native to this timeline: all cards, cards, equipment, and all augments with both and . Once per turn, one such augment reporting at this location may report for free.